Working animals come in many forms and have many skills. These animals are trained to assist people with disabilities to perform things they can’t and that enables them to live a more independent life. For the world of the disabled, there is no greater blessing than a service dog. Therefore, in order to understand service dogs, you must first understand what constitutes a disability. What is a Working Dog? Under the federal guidelines, the ADA describes a disabled individual as someone who has “a physical or mental impairment that substantially limits one or more major life activities, a person who has a history or record of such impairment, or a person who is perceived by others as having such an impairment”. Americans suffer from two types of disabilities: Visible and Invisible Disabilities. As a visual society, we objectify things or people we see. Most of us immediately recognize a visible disability when we see a person in a wheelchair, crutches or walker. We can see the person struggling and are able to sympathize with him or her. We see a person with a red cane and with a guide dog and we immediately acknowledge the person is blind. These are visible disabilities because they are tangible and self-defined. On the other hand, invisible disabilities are hidden from plain sight. These invisible disabilities are chronic illnesses not apparent to others but very much debilitating to its recipient. People with invisible disabilities look like the average person and because of that society has a hard time accepting invisible disabilities as debilitating or real. Diabetes, sleep disorders, renal failure, heart disease, and musculoskeletal pain syndromes like Fibromyalgia, Lupus, and Rheumatoid Arthritis are invisible disabilities. Mental illness or disorders are also blind because they are not visible unless the person suffers from psychotic episodes. Because society lacks education about disabilities, people have a hard time recognizing that there are three types of working dogs: guide dogs, hearing dogs, and assistance dogs. Service dogs are trained to perform specific functions that aid their disabled owner. 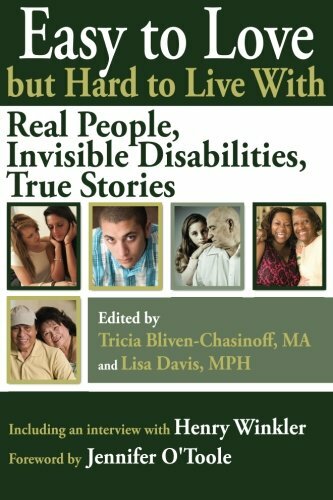 The book below gives you a glimpse into the lives of people with invisible disabilities. The terms service dog and assistance dog are used reciprocally to refer to the same thing. Each state may broaden the definition of a service-assistance dog, but ALL 50 states must abide by same the federal guidelines. According to the U.S. Department of Justice and regulations implemented by the American with Disabilities Act (ADA), “A service dog is one “that is individually trained to do work or perform tasks for a person with a disability.” These tasks, include but are not limited to guiding the blind, alerting the deaf, pulling wheelchairs, and even calming a person suffering from an anxiety or an episode of PTSD. When a service animal is outside in public, they are working and must not be interrupted or their task will be compromised. This could be intervening in a life or death situation such as recognizing their owner is having a seizure or heart attack. Service dogs must not be petted; at the very least, you must first ask the owner if you can pet their dog. However, this does not mean that their handlers don’t give their dog affection, love or play with them as rewards. Contrary to belief, service dogs are not pets. Some dogs may start off as pets, but once they are trained to perform tasks for their disabled owner, they become service dogs. This is a fact that many people in our society still don’t comprehend. Not only are service dogs well behaved, but they are a necessity for the blind, visually, physically or emotionally impaired. Any dog trained with a task that benefits the quality of life for a disabled person is a service dog regardless of their size. For people who are visually impaired or completely blind, guide dogs become their eyes, heart, and soul. These working dogs are trained as puppies to recognize when their handler can cross the street, open doors, call out for help, and more. Puppies chosen to be guide dogs start their socialization soon after they are born. Puppies must be introduced to the diverse senses in our world. Lights, sounds, and human connections are slowly mixed into their social life so they can grow up to be amazing helpers. Guide dogs are trained to stop their handlers from placing themselves in danger. For example, guide dogs will stop their handler from crossing the street when they notice an approaching car. However, handlers must be aware of their surroundings and not depend on their guide dog. Guide dogs cannot read traffic signals because they are color blind. Lead a person in a straight line to their destination. Stop at curbs, stairs, and areas that change in elevation. Determine and stop at obstacles in front of them or crossing their way. All service dogs, including guide dogs, are trained to be courteous and ignore distractions and other animals in their presence. This is why guide dogs, like other assistance animals, are allowed in public areas such as restaurants, hospitals, planes, etc. 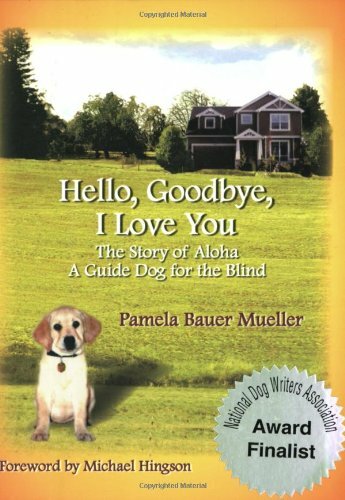 The true story of Aloha and Diego gives you a glimpse of the commitment it takes when training a guide dog. Hearing dogs are trained to assist those folks who are deaf or hearing impaired. They are extremely sensitive to sounds and are trained to recognize diverse situations to warn their owners. In addition to obedience and socialization training, hearing dogs spend months training in audio-response such a doorbell. Guide dogs come in both small and large sizes and diverse breeds. Little dogs are trained to jump or tap their owner’s lap or leg. Larger dogs are will use their nose to tag their owner’s hand. If that is not possible, some hearing dogs will lightly pull on their owner’s clothes. Be naturally attentive to sound. They are always working, alert and ready to assist their owner. Have a great temperament and people-friendly. Be confident and respectful to their owners. Many hearing dog organizations provide rescues as hearing dogs because pedigree is of no consequence. The most important characteristic a dog must have in order to qualify as a hearing dog is its temperament, demeanor, and ability to be trainable. However, purebreds such as Labrador Retrievers, Golden Retrievers, Poodles, and Cocker Spaniels are active and alert which also makes them amazing hearing dogs. 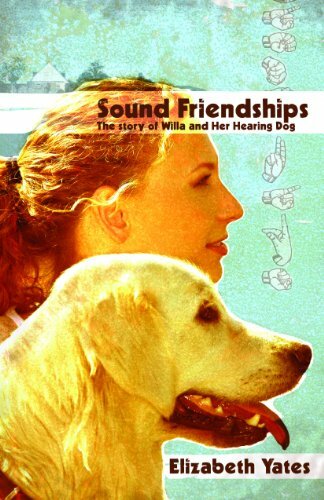 “Sound Friendships” is a beautiful and inspirational story of Willa and her hearing dog. Assistance dogs are constant companions trained to help people with a physical disability, neurological disorder, or a debilitating chronic illness. Assistance dogs are trained to assist a person with their specific disability. Physical disabilities are apparent and immediately recognizable. Most service dogs that assist people with physical limitations walk to the side of their wheelchair, walker, or prosthetics. Other physical disabilities include epilepsy, cerebral palsy, multiple sclerosis, and spinal cord injury, which are not always visible. All these illnesses affect a person’s mobility and strength so assistance dogs make it easier for the disabled person to have a more independent life. Society has a hard time understanding debilitating chronic disorders and how these disorders cause mobility issues. Simple tasks such as picking up your keys, doing laundry, picking up grocery bags, etc. are at times close to impossible. I know this because I suffer from more than one of these conditions. Soon after Harley passed obedience school, she was trained to alleviate my pain by pulling me out of bed, snuggling with me. and becoming interactive. By the time Harley was one year old, she was in tune with my trigger points and automatically came up to kiss the areas of my body that had flared up. Her tongue and gentle wet kisses feel like little ultrasounds and have become Godsend when my pain escalates to immobility. Years later Harley was trained to help me ambulate when I was diagnosed with essential tremors. She is a magnet for other dogs who love to walk up to her and say hello. 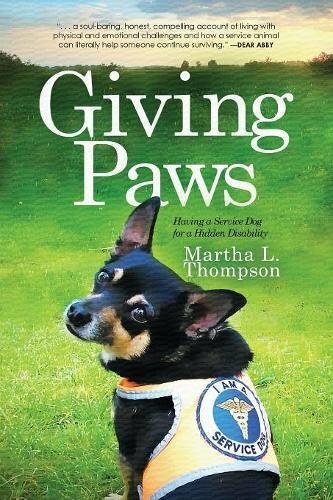 “Giving Paws” is a book that resonates with me. I like Martha, with the help of my service dog, refuse to let my disabilities define me. Neurological disorders can be either visible or invisible depending on the disease, syndrome or injury suffered by the brain. The most recognized neurological disorder is a traumatic brain injury (TBI) because a person becomes impaired by loss of feeling in their legs, develop mobility issues, or have coordination difficulties. Military veterans have the highest rate of TBI due to combat injuries. When a person suffers from any neurological disorder, the brain responds differently to stimuli. Neurological disorders are the hardest to understand, as the body is also prone to injury or pain in the joints, muscles, tendons, and other parts of the body. Pain or stiffness is not apparent unless the person suffers a flare-up. Neurological disorders also include cognitive dysfunction. Assistance dogs will guide their owners to the stairs and use their body as balance support. When fatigue, headaches, tremors attack their owner, the service dog will retrieve items such as medicine or a water bottle. They will also snuggle, lean, and provide pressure to help ease the pain. Assistance dogs trained to assist neurological disorders are able to complete the same range of tasks as mentioned previously. They are also trained to recognize emotional and behavioral disabilities like depression, bipolar or anxiety. When an episode occurs, service dogs are trained to snuggle, touch, and keep their owner calm and distract them from the pain. 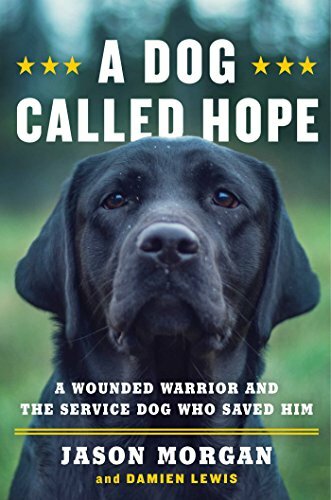 “A Dog Called Hope,” tells the story of how a service dog helped a war veteran come back to life. This is very important to know because there are organizations that take advantage of the disabled by overcharging for service dog training and tell disabled folks with a limited income that it’s the law. Rather than help the disabled, these companies do a disservice to those in need. A rule of thumb is that if the disability is specialized such as diabetes, seizures, heart disease or PTSD, then you should look for a reputable training agency recommended by the ADA or American Kennel Club. These dogs must be trained to recognize and assist their owners with these medical issues. Another misconception is the belief that service dogs are required to wear a vest or patch. According to the federal mandate, “the ADA does not require service animals to wear a vest, ID tag, or specific harness”. Vests or ID tags are recommended so people are aware your dog is a working animal. I’ve found a vest to be helpful when it comes to Harley. This is particularly because Harley is little and many people see her as a cute, cuddly puffball, and don’t understand that little dogs can be service dogs too. 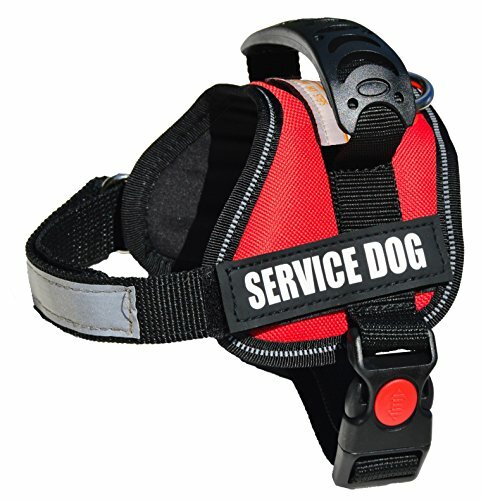 Amazon has many comfortable vests and harnesses your service dog will like. Another irritating factor many disabled persons with service dogs encounter is being asked about their disability or what specific disability their dog helps with. Moreover, “staff cannot ask about a person’s disability, require medical documentation, require a special identification card or training documentation for the dog, or ask that the dog demonstrate its ability to perform the work or task”. It is wonderful to know our furry canines can provide joy and a better quality of life to folks that are disabled. The bond Harley and I have is one of trust, unconditional love, and compassion for each other. Despite her age, she continues to look after me, and I after her. Little or large, service dogs are proud and always ready please and help. That makes them furry angels in my eyes.